I made one of my regular visits to the British Museum this afternoon. I focussed on Room 70 on the top floor (Rome and the Roman Empire). After climbing the two long flights of stairs to the top floor, I took a short rest on a bench strategically placed at the top of the stairs. I then noticed for the first time an opening onto the Great Court, with its wonderful glass roof, where I took the photo featured in this post. I used the panorama mode on my phone to take in the full scene. Like other Rooms I have visited in the British Museum, Room 70 contains some particularly memorable exhibits. I especially enjoyed the busts of Augustus and his wife which were during their lifetimes and are presumably reasonable accurate likenesses. 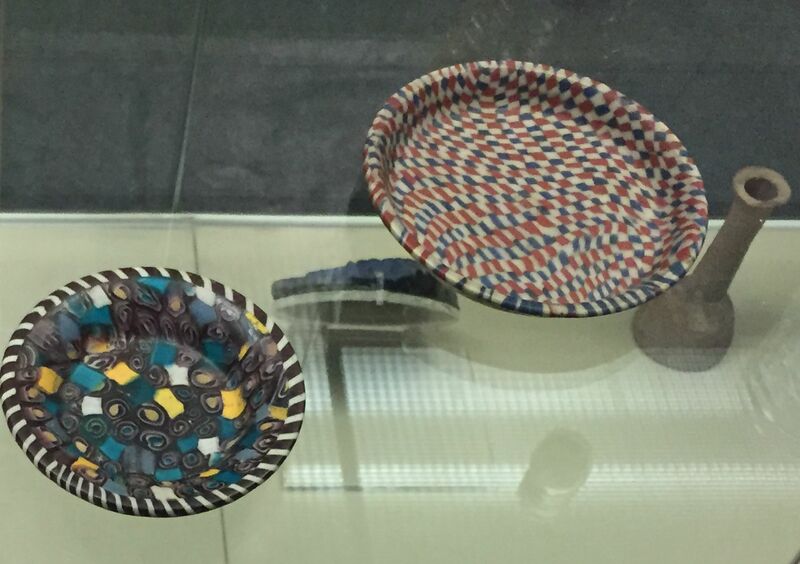 There is also much jewellery and glassware, including the chequered bowl in the photo below, which is believed to have been made in Egypt between 25 BC and 25 AD.